Here's a page I created earlier today. I plan to color mine tonight while sitting by the fire and watching movies. Now if I can only figure out how to create a link so that you can download a (free) copy. Try clicking here to download your own copy. If you have trouble downloading a copy, email us and we'll try to help. 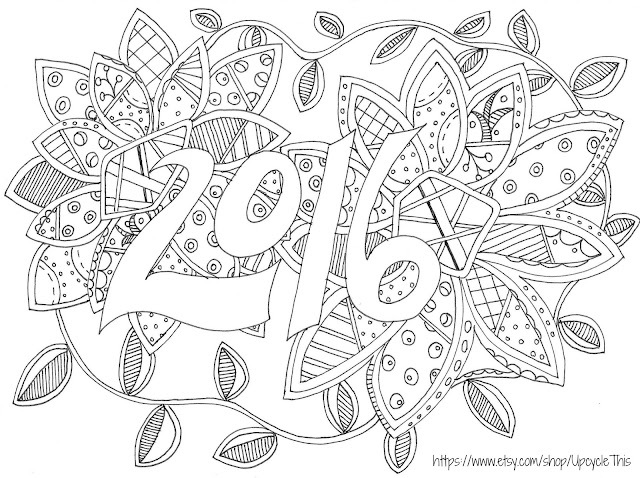 Visit our Etsy shop for more downloadable coloring book pages. And whatever you do to to celebrate the arrival of 2016, be safe, and have fun!